Well, more bad news about my X-Pro 2. I've just returned from a nights shooting, checking my gear, and putting it away. I noticed that the entire shutter assembly has fallen off, and I can see down inside the camera. So, I can't turn it on, let alone take pictures. A few months ago, my entire eyepiece assembly fell off, that was two weeks repair at Fuji UK, now another crucial part of the camera has fallen off. Not what I expect from as supposedly "professional" camera. Have to say, I am getting really fed up with this camera falling apart on me. sorry Johnny I just wanted to check - the shutter inside the lens mount is detached and "floating around" inside the camera in front of the sensor? and... The viewfinder assembly fell out? Fuji seem to have a reputation for quality with some people, but seem to be too many reports of firmware or physical issues around. Last week I read something about a Fuji user who went on an arctic boat trip and his camera wouldn't focus properly for the entire holiday (assumed cold weather) - apparently he sold.it as soon as he got home. I certainly hope you get your camera fixed. Have you though of going back to the dealer, telling them.its not of merchantable quality, and asking for a replacement or a refund? Yours sounds like a bit of a "clunker" and best replaced! Sorry to hear about your predicament ! You may have gotten a lemon that escaped QC due to a jittery employee who just quit smoking and badly needed a cigarette . My gear has been banged about and it has held up quite well. All the best with your repairs/replacement. Please keep us updated, I'd be curious to hear how Fuji responds. A few months ago, the viewfinder assembly fell out, the external, rubber ring, and the part of the assembly that goes into the body, you could see inside the body of the camera. I researched this and found that it was an unacknowledged(officially) design flaw. In the US they were sending out the part, and people were discussing ways of using superglue etc. Fuji.UK pooh poohed this, saying it just leads to people either damaging their camera seriously, or it just fell out again. Therefore they chose a return, and a free replacement of the whole viewfinder assembly. I got the camera back in two weeks, all fixed. That was a couple of months ago, then, two days ago, I went to a bar across the road, to photograph a local band, in my local. Warm night, so I had the X-Pro 2 + 56mm, on a strap around my neck, and a lens in a neoprene pouch, hanging from my jeans belt loop. When I walk with a camera like this, I always hold it in my hand, so it doesn't bump against me as I walk.. I hold it from underneath, with my fingers supporting both body, and lens. So, I spent a couple of hours listening, and taking pictures. As I left, some friends were stood outside, smoking. I took a shot of them, crossed the road, holding my camera as above. So, the camera was entire at that point. This is less than 50 metres, I can literally see the bar from my front door. So, I walked into the building, put down the camera, and the spare lens, on the table, and took my dog out. I returned and picked up the camera, removed the card, inserted it into the computer. As I put it down, I noticed that the whole shutter, and off/on switch, was missing, there is a round, very flimsy plastic piece, that is about a mm, or so, into the camera, you can see into the workings around the edge of this. I've looked over every inch of my journey, and found 2 similar plastic disks, and the actual shutter button, so the whole surround, and the on off switch is lost. It doesn't seem likely at all, it must have just fell off, because there was no possibility of any pressure on it. I was not touching it, and I was holding the camera as described, every step of the way, until placing it gently on my table. I still don't believe it myself. PS I hope Fuji do. That's appalling! If that's Fuji's idea of "Japanese quality" then they need to seriously think of getting it made in another country! So the shutter release has now come off. This in a week where I read about another firmware problem in some cameras affecting either the focus distance or the distance scale in manual focus mode, and another user being told by Fuji that his camera and lens that won't focus correctly because it focuses at full aperture and then stops down is "working correctly". I know issues always crop up and some people are unlucky - but really? I would seriously considered trying to get the entire camera replaced or a refund. Nah! Just not good enough. Make sure that Fuji replaces this one. If they don't get on to these Fuji forums and let the world know! I just spoke with someone at Fuji UK. I also received a notification from Fuji, that I shall be receiving my return packaging tomorrow. I explained what had happened, and he made sympathetic sounds. I also explained that I had only recently had to have the viewfinder assembly replaced, also that the camera has been problematic since I got it it, which, when I think about it, it has. It has required switching on and off again, to get it to accept setting changes, required the battery removing on a few occasions, to get it going normally again, on more than a few occasions. I never had these problems with the X-E1, or X-E2, or X-T1. So, I suggested to him, that this camera was a "Friday afternoon lemon" and should be replaced with a new body. The guy from Fuji said that they would most likely replace the whole top plate, including the viewfinder. Given that the most expensive part of this camera is probably that hybrid viewfinder ( I would think it costs as much, or more, than the sensor), it seems that replacing the whole thing, would probably be about the same cost wise. I said this to the guy, he was non committal. I asked if he wanted photographs, he said no, just send it back, with the three parts I found on my front path, in a little plastic bag. So, that's where I'm at. I shall send another email, saying what I've said above, to accompany the return, but it looks, and sounds like they are going to repair it, rather than replace. No mention of money yet. We shall see, maybe an email, outlining the facts that small, niggling, minor issues have dogged this camera since day one, might persuade them to replace it. Johnny, your sales contract is with the dealer your purchased the camera from (not Fuji). If the camera is less than 6 months old, you should probably speak to them and clearly explain that you are not happy with the camera they sold to you as it has developed serious defects, and you are rejecting the camera and want to return it to them for a replacement. See that they say. It's worth checking sales law, as you are reasonably well protected to request a replacement (or a refund) if you are not happy so early into the life of the camera. It's a bit complicated, it's now over a year since I got it, and technically, it's second hand. An acquaintance of mine bought it new atlocal camera store, Wilkinson's, who have a small chain of stores. He immediately didn't like it. He had, like me, come from an X-T1, and instantly disliked the rangefinder style, so he sold it to me, at a 100 pounds off the retail price he had paid. He must have more money than sense, because the X-T2 hadn't even come into stock yet, and he could have simply returned the camera, and pre-ordered the X-T2. Anyway, that's the complication. However, with the eyepiece problem, they did not question my warranty claim, even though it is not my name on the receipt, so I'm hoping that they will continue doing so. Good luck - and thats a shame as it really should be going back to Japan for an inspection of what the **** went wrong with their design or manufacture. Here's some copies of pics I took, in case Fuji want some. As you can see, there is no sign of deformation, no scratching etc, either on the camera body, or the pieces I recovered from my front path. It has simply fallen off. Ah, one PNG at a time, apparently. Maximum 2 MB! I'll have to post another couple. Hmmn. These are PNG's, the second one of the body is over the limit, it's unnecessary anyway, these are the parts I found in the grass out front, once again, no sign of force etc. It just fell off. Hello. I received my return packaging today, and sent the X-Pro 2 body back to Fuji. I spoke with Colin, at Fuji.UK. He told me that as the camera is out of warranty, and the last repair (extends warranty by 3 months), was in February, when the viewfinder fell out. Therefore, I'm not covered, and, as it is a different issue, I wouldn't be anyway. Consequently, the repair will cost me 200 pounds, which I don't have right now. I am a pensioner, living on state pension. When I complained about the charge, saying the camera had always been unpredictable, re turning on/off, or removing battery, o get it operating correctly, and then I had the eyepiece problem, he remained implacable. He said I should have complained then, but the issues were sporadic, and a return might not have seen any problems. Anyway, when I explained, he offered to raise the issue with a manager, but he feels I will have to pay 200 pounds. So, I have sent it back, but if the manager decides I have to pay for the repair, I'm not sure what I can do. It would take about three months for me to save 200 pounds from my pension. So. luckily I have my X100F. If Fuji insist on charging me, they will just have to keep the camera, until I have 200 pounds. It seems plausible that they would have had to remove the whole top plate to repair the viewfinder, how are you to know the shutter button assembly was properly installed after their repair? That;s a very good point, Christopher. It is rather coincidental. I think I'll hold that one in reserve, I'm also looking at The Sale of Goods Act. There are many times when a "reasonable expectation of lifespan, on a product, is much longer than the warranty. There are reasonable assumptions on most household appliances, cookers have a longer life expectancy, than fridges, and washers. I'm hoping I won't need to escalate this, but I will have no choice, as right now, I don't have the money for a repair. I was contemplating getting an XP2 but this saga and other similar stories I've read have really put me off. The faults alone are bad enough but the poor repair service and even more, the lack of understanding and the intransigence of Fuji UK who used to have a good reputation has pretty much nailed down the coffin. There's no doubt in my mind Fuji UK should repair your camera and completely check it over for faults - free of charge! I may have missed it but can I ask if you had a soft-release button attached to the shutter release before the thing fell apart, the reason I ask is that I've seen posts with similar damage/failure caused by catching the soft-release while in a bag. i hope Fuji does the right thing, as a pensioner myself I appreciate your circumstance. Thanks @veejaycee, I returned the package yesterday, and no word from Fuji as yet. I have to say, that when it's working as it should, I love the X-Pro 2 in use, I've got the new button lay out, same as the X100F, in muscle memory now, and I can alter all the settings, without taking my eye off the viewfinder. It is a much more intuitive layout than previous iterations. I was thinking of getting rid of the X-Pro 2, and getting an X-T2, but I've decided against it, because the rangefinder shape, even though I'd rarely used a rangefinder, back in the day, a Zorki, I find it so much better than the DSLR shape, for various reasons. Also, I've not been following the X-T2 threads, but I'd bet there are some lemon versions of that model out there, and that it probably has "issues" as well. I don't know, but most models, and most manufacturer's produce duffer's now and then. Also, I can't really see an alternative. I could not afford to change systems, but if I had all the money in the world, and could afford Canikon's top camera, and lenses, I just don't think I could easily go back to DSLR's. The idea sounds ok, and I know I'd be getting good image quality, but then I think of the drawbacks, mainly the size, and weight, but it's not even really that. I would miss the magic something that Fuji images have, simple as that. Anyway, I returned the body yesterday, no news yet today, but it may not arrive until tomorrow. (it was afternoon before I posted it.) So, it may well be that Fuji, will do the right thing, and do a free repair. In my anger, and frustration, I've suggested that they should give me a new body, considering all the little niggles I've had with this body, but as the guy I spoke to said, they do not know about these problems, as I never contacted support about them. As far as Fuji know, I've had the semi-acknowledged viewfinder fault, which they have fixed for free, now I have a somewhat rarer fault. I have heard from Fuji users in America, that this has happened to other people, but it is rarer than the viewfinder issues. Another thing, the small issues I had previously, with the camera freezing, and having to turn it off, and on several times etc, could be connected, maybe my shutter button assembly has been working it's way loose since day one. @Greyelm, yes I did have a Lensmate soft release fitted. I haven't told Fuji that, in case they think it may have caught on something. I know it didn't, because I had the body held from underneath, so it didn't bounce around. So, I took my final picture of the evening, outside the venue I'd been shooting in, I then crossed the road, walked down about 20 feet, and entered my front gate. All this time I had the camera in my hand, and I discovered the missing assembly when I entered my flat. Also, I found 4 parts on the front path. Couple that with the state of the camera, perfect hole where it should be, no deformation, as would have been if sideways force had been applied. Also, I would have noticed if it had snagged on anything. It just fell off. I found the soft shutter button, still screwed in to the actual shutter button (I've retained it), that plus the other small parts are not even scratched, or bent out of shape, so I don't think it's that. The soft release screw is less than 2mm, when you take it account the rubber O ring it comes with, it does not enter the length of the button much at all, there is a smooth silver pin with a flat head, that fits into that button, from the underside, it is this pin that actuates the shutter, either with a mechanical release, or by pressing the button. So, whilst I can see it would be possible for a raised soft shutter release to catch in clothing, or on removal from a case, it didn't happen in this case, and if it did, you would most certainly notice ot, and probably avoid the issue, by unsnagging it. I shall keep using them, I don't think it's that, that has caused my problem. Other's have warned about screwing an old style mechanical release in too tightly. I have one, but have never used it. I think it would be possible to screw one in too tightly, but that would result in the shutter being constantly depressed, and you would certainly notice that. So, I'm waiting on Fuji's decision. I am still hopeful that they will perform this repair free, andf they have not yet said no to that, so let's wait and see. No news yet, just an acknowledgement, and that they are yet to assess the camera, and see what the issue is. Still no mention of any payment. I'm afraid I rather bombarded them with emails, before they had even received the camera. I've inadvertantly caused confusion, right from the start. On the night this happened I fired off an email to Fuji. It wasn't a rant, but in my first paragraph I said that "I have only recently received the camera back following the shutter release mechanism falling out"
Of course, I meant the viewfinder, but having just seen the shutter assembly, or rather, noticed it's absence, my head was full of that, so I typed the wrong thing. This of course prompted a reply from Fuji, saying they have no record of a previous shutter button problem. So, I corrected that, and outlined my sad story yet again, and talked about the sale of goods act etc. I sent a further email requesting acknowledgement, once again drifting into veiled threats about escalating this issue if I don't get a free repair etc. So, I might well be considered a bloody nuisance by Colin, who is dealing with my case. As such, having received an acknowledgement, I think I shall refrain from poking their cage, and wait for the outcome. Plenty of time to make a fuss, if they try to charge me. If they do, it will be a 200 pound repair, which I don't have right now. @veejaycee, I would still recommend the X-Pro 2, I know I've had issues, but there are thousands of people that haven't, and the camera is such a joy to use, and the images are so beautiful. Since this has happened I've considered getting the XP2 sorted, selling it off, and getting a XT-2, or the rumoured XT-2S, but I've decided I can't do that. I had the X-T1, it's a great camera, but the faux DSLR shape, is not as ergonomically sound as the rangefinder style XPro, in my opinion. It's horses for courses, and I think the XT series probably outsells the XPro, but it suits me. As everyone keeps pointing out, you can be unlucky with any brand, and any model, so I certainly don't intend changing brands, and I've decided to stick with the X-Pro 2, because it is a joy to use. Regarding Fuji.UK, I think a lot of my anger, and frustration was that Fuji work office hours, and are shut at weekends (although they do offer a "professional support" service. I haven't really looked into that, but I believe it is 24 hours, replacement bodies on loan during repairs etc, but there is a cost. I'm not a real professional, most of my community photography is pro bono, although I do the odd paid shoots now and then. I haven't really got any grounds to complain about them yet, the guy I spoke to was helpful, and polite, but he is not the decision maker, and was merely doing his job. As I've said, I've been hasty to complain about them, but to be fair, they immediately dispatched a return pack, and are proceeding with the repair, as far as I know. So I think we should wait for an outcome before judging their support. Just had contact from Fuji.UK. They sent me a query regarding proof of purchase. I rang them, cleared that up, and then he told me that this would be an out of warranty repair. Therefore, I shall have to pay 200 pounds for the repair. I don't have 200 pounds right now. I remonstrated, explained my previous problems with the body, he consulted his manager twice, but to no avail. He offered to send it back to me, or hang onto it, I said hang on to it. This leaves me no choice but to sell a lens. I have every prime (except the 18mm), so I'll have to sell one of them. I'm thinking I use the new 35mm f2, and the 14mm 2.8, the least. Of these two, only 14mm will do sometimes, so I'd rather keep that one, but the 35 f2 was a cheaper lens in the first place so might not raise 200. I also have a Sony RX100 MK 3, that is nearly new, hardly used etc, I could sell that. I am really disappointed by Fuji's response, I really did think they would do this repair for free. PS. Reluctantly come to the decision to sell my little Sony RX100 mk III, it goes on Ebay at 8pm. Rang Fuji back, and let them know I would have the money, so go ahead with the repair, (I also mentioned I get my pension on Friday). To add insult to injury he refused to start the repair unless I pay up front. That really stinks @johnwillyums! At least you can raise the funds, but it's unfortunate to have to sell off some gear. Ok, I've decided to sell a virtually new Sony RX100 Mk III, just put it on Ebay. I only bought this, brand new, just before Christmas, so, if I could find the documents, it's still under warranty. I've looked high and low for the unopened plastic bag with manual etc, but can't find it. Anyway, it's already got the 153.73, that was the average price advised by Ebay, so it will sell. It's also got 18 watchers, so it should go up from there. As with all my cameras, I'd pimped it with the official grip (absolute necessity), and the official LCD tempered glass screen protector. Also included is a third party attachment which enables filters, and a lens cap. I put that on largely to protect the front of the lens, and the little shutter that comes down when the lens is retracted. A friend of mine got something caught in that shutter style front protector, that stuck it halfway, rendered the camera inoperable. As you say, Christopher, I bought it to be my carry every where camera, the image quality is astonishing, and the video is really good, this is the "vloggers" camera, as the screen will tilt up, so you can see yourself. However, in the new year, I had an unexpected windfall, and went out and bought the X100F. Despite the bulk, and non-pocketability of the X100F, that now goes everywhere with me now. I have a bright blue, silk rope, type strap. a Gordy hand patch, with patch, and a stretchy black neoprene case, which snugly fits the camera, and does up, like a pouch, with velcro. I also have a Lensmate thumbgrip, and a silver, with blue seahorse, Lensmate, soft shutter release. So I'm now asking myself about the sideways force the thumbgrip is exerting on the hotshoe, and, of course, the shutter button is gradually helping my shutter to fall off. I am still quite shocked by the fact that Fuji will not do this repair for free. It may not be commonplace, but it has happened to at least two people that I know of. Even more insulting, I rang him back to say I could pay the 200 pounds on Friday, as I receive my pension, and I also know that I have at least 153 pounds coming on Tuesday. He refuses to set the repair going, ensuring I get the camera back soonest, until I have paid up front. I don't think he would have done that if he hadn't known I was not working, and was struggling to pay. Those 1" sensors really are great for video! Sony did a good job. What's your opinion of the RX100 III's pop up EVF? My X100T is my go everywhere camera, I hope to upgrade to an X100F down the road, if it's anywhere as fast as the X-T2 I know I'll adore it. The focus joystick alone is my favorite thing now. The X70 sure is as close to pocketable as Fujifilm has ever gotten with APS-C, I hope they make a successor and find some way to squeeze in an EVF too. I feel like I've heard more stories about the X-Pro1 and X-Pro2 losing hot shoes, and now shutter buttons, more than any other Fujifilm X model. Lots of X100 users have thumb grips installed, I don't know of any hot shoe failures outside of the cameras being dropped with something attached. Even more encouraging, Fujifilm Japan even sold their own branded thumb grips for the X-Pro1, X-E2, X100T, and X30: https://petapixel.com/2014/11/07/fujifilm-japan-announces-slick-looking-thumb-rests-x-series-cameras/, so they must not entirely disapprove of their use. Fuji UK are certainly not doing their after sales reputation any good. Get it on every Fuji forum you can find. I think you are getting a raw deal from Fuji UK. It is highly probable that the second problem is a knock on from the viefinder repair. Fortunately you have pictures of the bust switch. Tell Colin at Fuji UK to tell his manager that you are going to refer this whole saga to Fuji Japan and do it. You might get a better response. Considering the 'professional' nature of the camera body, it is surprising that the X-Pro2 cannot withstand the rigors of normal use as a carry everywhere camera. My wife's two X-T2's have proven to be quite durable so far, but only 7 months have passed. She's used to abusing her gear as a photojournalist, one of her Canon bodies had over 700,000 photos on the shutter count since 2012, the mechanical shutter was replaced somewhere around 600,000 shots and it works again as new, the only sign or wear is the paint patina. Fortunately her new X-T2's are being treated a lot nicer but if they don't have this kind of durability to simply stay in one piece, Fujifilm is going to have some upset customers in a year or two, us included. 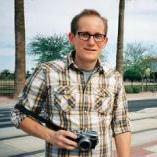 @Ianmac has some good advice @johnwillyums, it may be worth trying to escalate to Fujifilm Japan, even if you end up paying for the repair to get your camera back. I have plenty of time, and I would enjoy trying to reason with Fuji HQ. Anybody know who to write too?